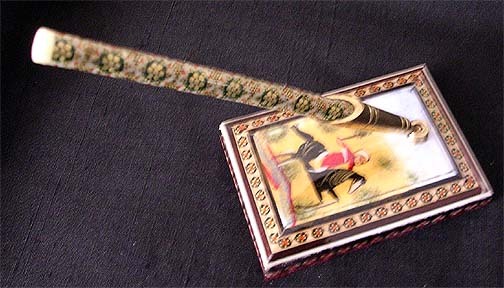 Dimensions: 4" (10cm) long x 2.5" (6.5 cm) wide. 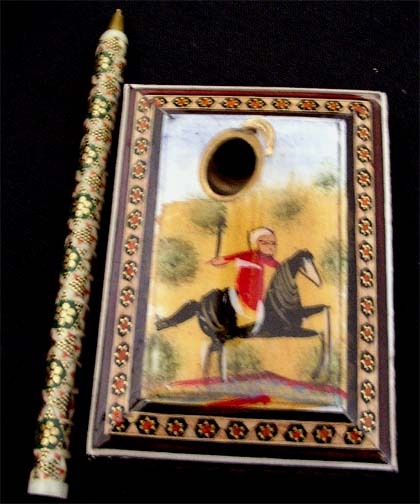 The hand-painted image of a horseman is accented with khatam karee inlay. The pen uses standard refills and features a matching khatam pattern.